Having been praised by the press as “precise and keenly projective” and demonstrating “the highest level of proficiency,” Japanese-Canadian pianist Yoko Hirota is considered one of the leading interpreters of contemporary piano repertory of her generation. Born in Japan, Dr. Hirota began piano lessons at age four. She entered the State University of New York at Buffalo where she studied with Livingston Gearhart and received her Bachelor of Music and Master of Music degrees in piano performance. Yoko pursued her commitment to contemporary piano literature with the prominent Canadian pianist and pedagogue, Louis-Philippe Pelletier, at McGill University where she received her doctoral degree in piano performance in 1999. In addition to studies in North America, grants from the Canada Council for the Arts allowed Dr. Hirota to study in Europe with renowned interpreters of contemporary piano music such as Gabor Csalog at the Bartók Music Conservatory and Gabor Eckhardt at Franz Liszt Academy of Music in Hungary, Herbert Henck in Germany, and Florent Boffard, former pianist with L’Ensemble InterContemporain in France. Yoko Hirota is a strong advocate of contemporary music and she particularly enjoys performing music, including works written for her, by some of Canada’s finest composers. She has performed in solo and chamber recitals with major organizations and festivals across North America including: New Music Concerts (Toronto), Discovery Series (Calgary), Windsor Canadian Music Festival (Windsor), Domaine Forget International Music Festival, Innovations en concert (Montreal), the Ottawa International Chamber Music Festival, Friday Evenings at the Rolston (Banff), and Chapelle Historique du Bon Pasteur (Montreal). Dr. Hirota was invited by the notable ensemble, the Nouvel Ensemble Moderne (NEM), to Canadian premiere the challenging work, Joy (for 23 musicians and tape), by the renowned Finnish composer, Magnus Lindberg. The Montreal Gazette gave special recognition of her performance. She has also been the guest soloist with orchestras including the Sudbury Symphony for the world premiere of “Oiseau de Givre” a concerto written for her by the Canadian composer, Robert Lemay. Dr. Hirota’s excellence in contemporary music interpretation is reflected in the many broadcasts of her performances on Société Radio-Canada, her participation as a juror for the profession’s leading grant agencies including the Ontario Arts Council, and the many awards she has received including prestigious grants from the Ontario Arts Council and the Canada Council for the Arts, and semi-finalist at the Nutley Symphony Orchestra’s Concerto Competition. At the 1996 Clara Liechtenstein Piano Competition (Montreal), a Special Mention Prize was especially created to distinguish her excellence in the interpretation of twentieth century repertoire. In 2013 she was invited to perform at Le 16e Gala des prix Opus. Dr. Hirota is co-founder and co-artistic director of 5-Penny New Music Concerts (www.yokohirota.com and www.5pennynewmusic.ca). 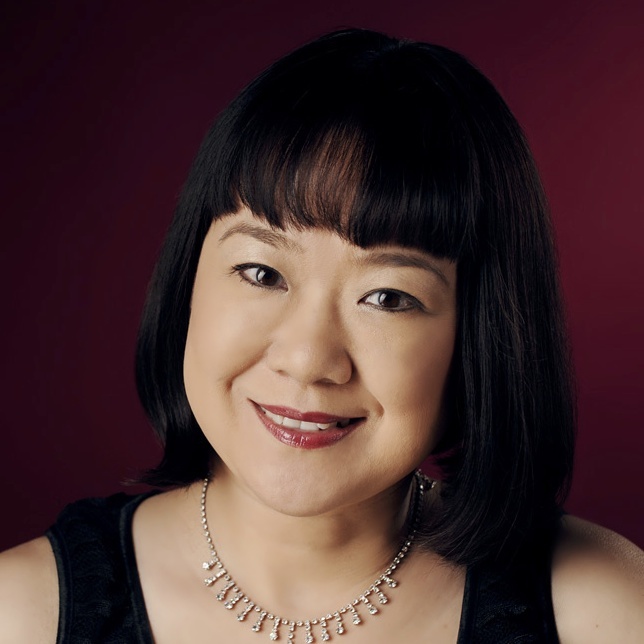 Dr. Hirota is a strong advocate of contemporary music and she particularly enjoys performing music, including works written for her, by some of Canada’s finest composers. Dr. Hirota's “Teaching Contemporary Piano Music” workshops are in high demand across North America as are her informative lecture/recital presentations. Hirota, Yoko. “Expressivity, Color, and Articulation in Schoenberg’s Seventeen Piano Fragments.” I Feel the Air of Another Planet: Schoenberg’s Chamber Music, Schoenberg's World. Ed. Alan M. Gillmor and James K. Wright (Hillsdale, NY: Pendragon Press, 2009): 193-205. Hirota, Yoko. “Past and Present Analytical Perspectives on Bartok’s Sonata for Violin and Piano, No. 1 (1922): Intervallic Profiles in the Works of Experimentalism” ACTA Musicologica, 69 (2, January, 1997): 109 – 119.